It’s Black History Month. 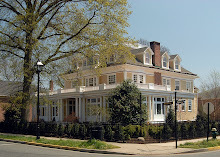 We are celebrating here at the Inn at 202 Dover with special offers and a unique history tour of Easton, Maryland. Did you realize that Easton was recently discovered to be the oldest free African-American neighborhood continually inhabited and still in existence? For a long time, scholars thought that distinction went to Treme in New Orleans, which dates back to 1818. But recent research by Morgan State University and the University of Maryland suggests that Easton’s Hill neighborhood, dating back to the 1770s, may actually claim the title. It’s believed that many slaves were freed after a Quaker leader came through Talbot County in 1766, urging the large local Quaker community here to abolish slavery. Quakers established their community in Easton in the 1680s. During the month of February, we will be running tours of “The Hill”, led by a knowledgeable historian. On Sunday, February 16, Dr. Bernard Demczuk, a pre-eminent scholar of African-American history at George Washington University, will be on hand for a more in-depth session about the area’s rich African-American history.